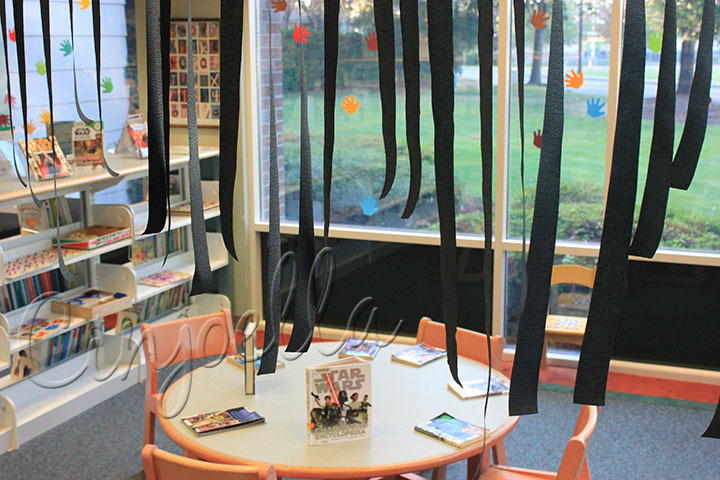 Last week I showed some pictures of how I decorated for Star Wars Reads Day. 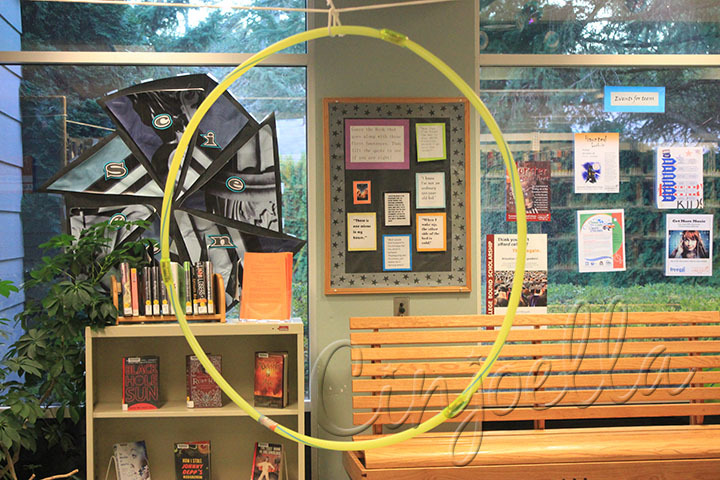 Here are some of the pictures from the activities that we did at the Tumwater Star Wars Reads Day 2012. 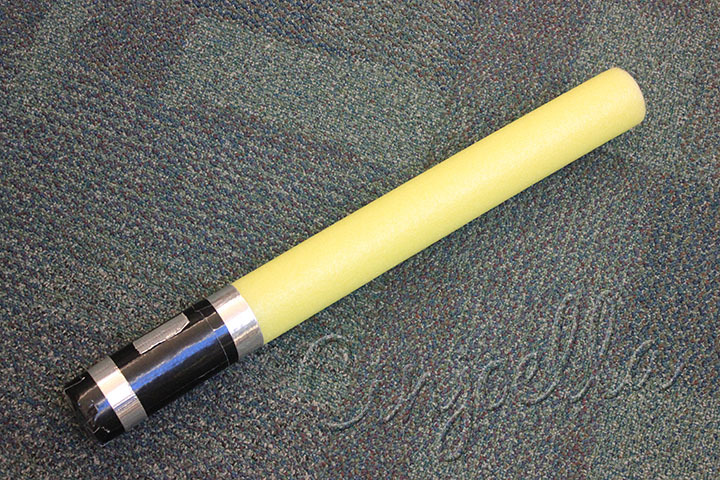 One of the stations that we had was where kids could make light sabers out of pool noodles. The pool noodles that we were able to get from the dollar store were blue, yellow, and orange. So, only a couple of colors were the “right” Jedi colors. But, we were hoping the kids wouldn’t mind. 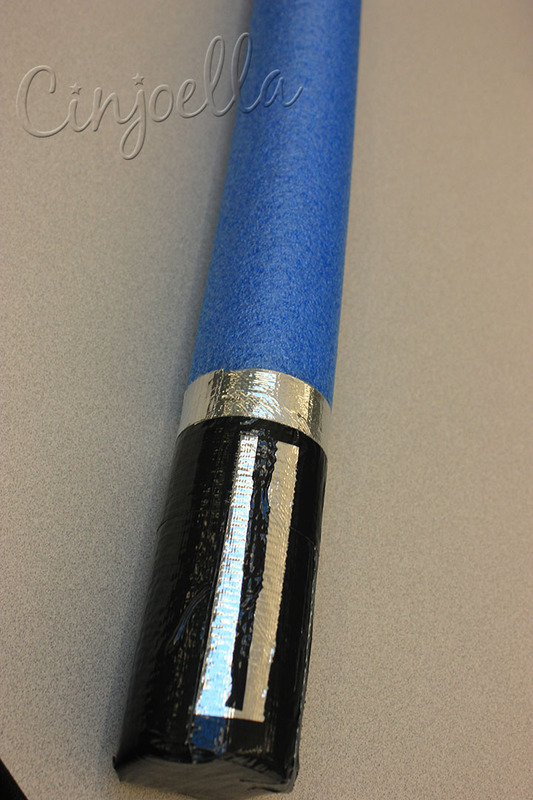 Once they finished making light sabers they could practice using them in one area (and only in one area). 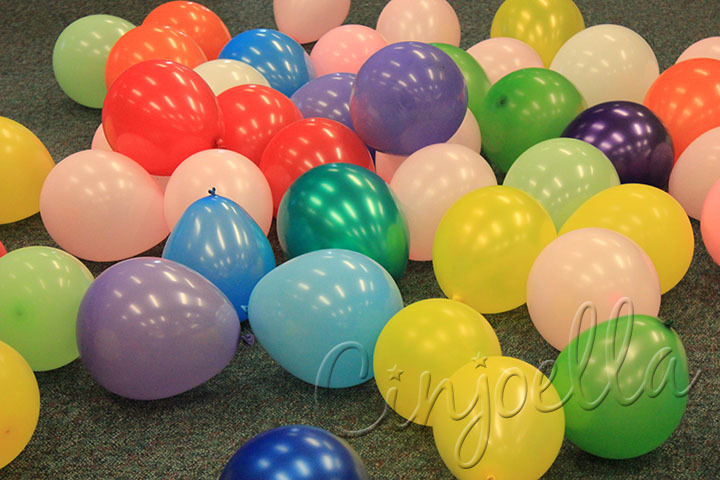 They could hit some “orbs” with them aka balloons. 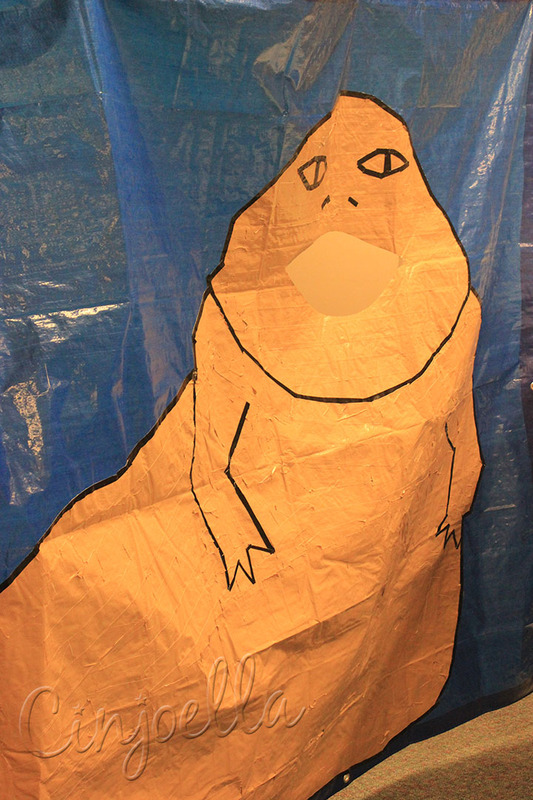 Mari was also amazing and made this Jaba the Hut out of duct tape and a tarp. 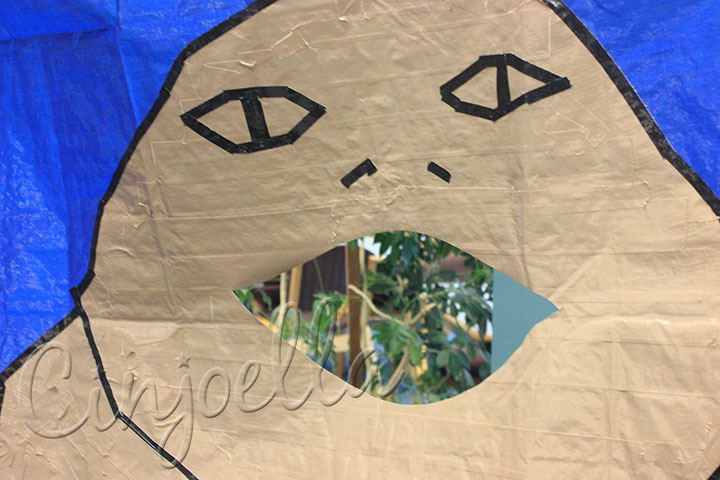 She had the mouth cut out so that the kids could throw bean bags at him…and I think as long as they were feeding Jaba bean bags hopefully he wouldn’t eat anything else! One of the things that the official Star Wars party packet sent was a paper folding pattern for the Mellenium Falcon. 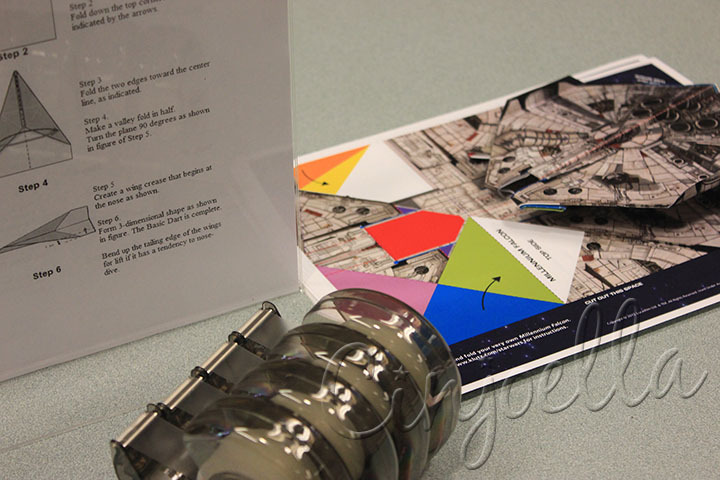 So the Star Wars fans can make their own official space ship. Also, for those that didn’t want to (or couldn’t) do something so complected they could just make a regular paper airplane out of black paper. 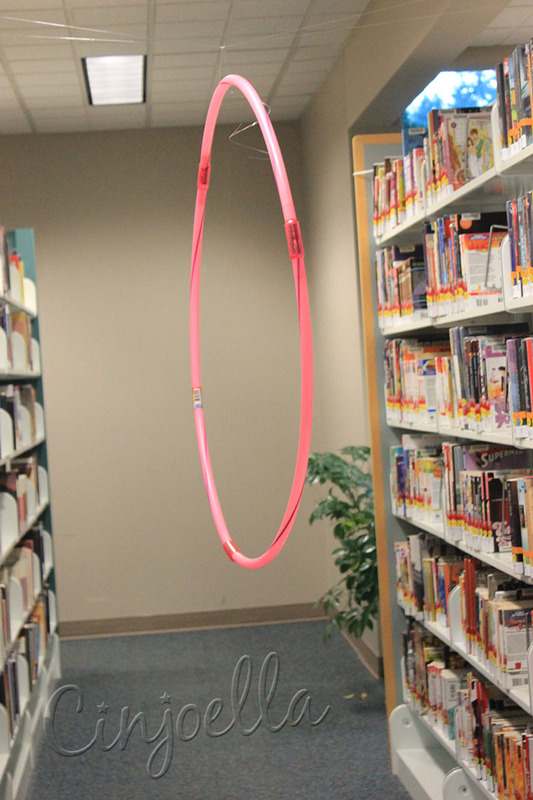 And here are some hula hoops that we hung up so they could throw them through the hoops. And the hoops had lights, so they would light up if you hit them too hard (although it wasn’t the paper that usually hit them too hard). This space was kind of the “carbonate freeze” space. Basically kids and families could come here and take a time out to read Star Wars books. Of course we also had some Star Wars trivia and something to make a fortune wookie (thanks again to the Star Wars Reads Day party pack). 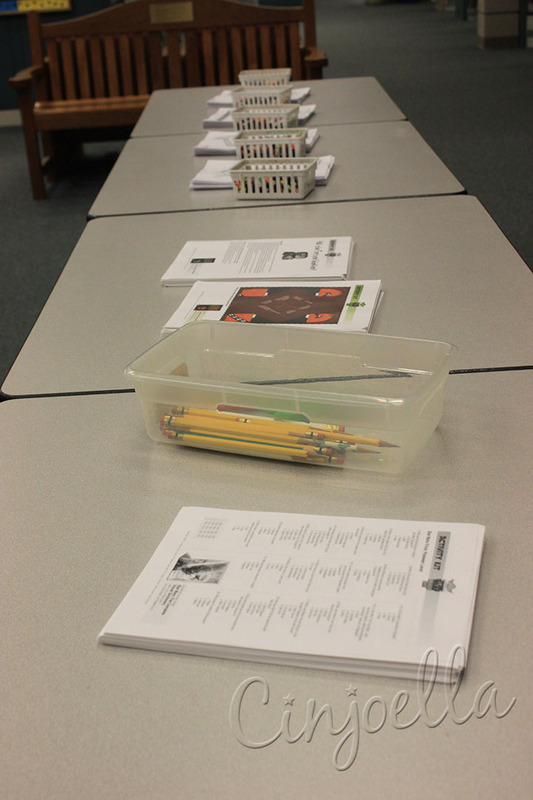 November 20, 2012 in decorations and events, library, library event, photography.